Manchester United midfielder Marouane Fellaini is close to moving away from Old Trafford this summer. That’s what The Sun writes, who cite reports in Turkey. The interested party? Galatasaray, and the aforementioned article reckons that the big Belgian has already agreed personal terms. Apparently, the Super Lig giants have confirmed that they are in talks to sign the former Everton midfielder, who was signed by David Moyes back in 2013. Fellaini has had a mixed time at the Theatre of Dreams, but he has won a few trophies that he can be proud of, and look back on once his career is done. However, the fact that he never was good enough for Manchester United remains. He’d be a brilliant acquisition for Galatasaray, and I myself would be delighted to get him off the books. Him leaving would also mean that, in my opinion, a new midfielder will be coming through the entrance doors this summer. 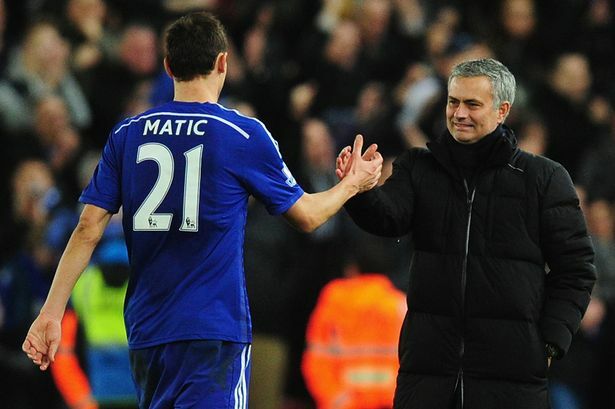 The name we’ve been linked with the most is that of Nemanja Matic, and he’d be a suitable replacement. At the end of the day, Edward Woodward needs to get a move on regarding both incoming and outgoing transfers. Personally, I feel we’re some way off having a good enough squad to compete for a Premier League title year-in-year-out – getting Fellaini out on a permanent deal would be a good start.